So you deserve to know that it matters to your editors as well. The team of editors and coaches at Edits Made Easy are not only top-notch professionals in their field; they are also personable and approachable men and women who will take an interest in your success. They've been where you are now and they won't hesitate to pick up the phone or exchange some e-mails to resolve a question, get some needed input, provide a status update, or just give you the peace of mind of knowing that your project is in the right hands. That's PROFESSIONAL EDITING . . . with a PERSONAL TOUCH! 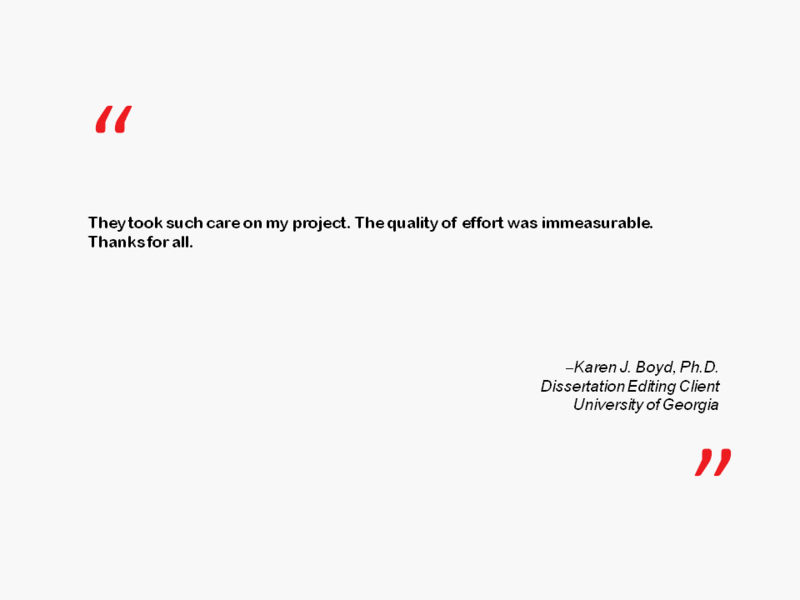 Our dissertation editing, book editing, and coaching clients have high praise for what our team of top-notch professionals have been able to do for them!